The Three Towns Blog: Going, Going, Gone. Going, Going, Gone., originally uploaded by davidrobertsphotography. 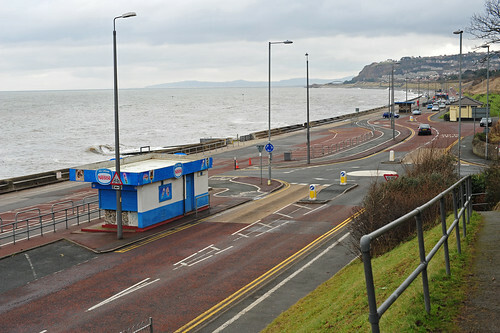 The area shown in the photo beyond the kiosk is shortly to be demolished and rebuilt, the first stage of the massive Colwyn Bay Waterfront scheme. 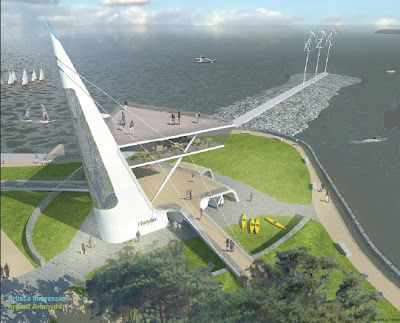 The sea defences will be rebuilt first (and extended outwards to give more room for facilities), then a newly designed Promenade will be built. I thought it would be good to document this area before it all disappears forever. This is a once in a hundred years opportunity to revitalise Colwyn Bay's Promenade and increase visitor numbers. Let's hope they don't mess it up! Looks good - but will it ever happen? Who's got the dosh?